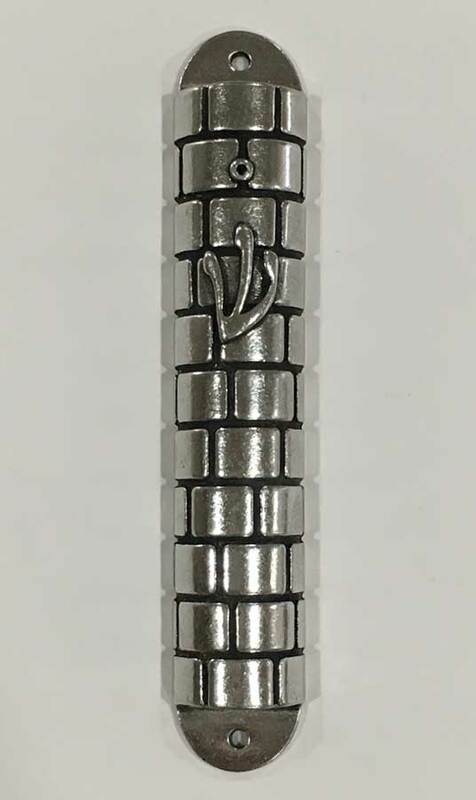 An attractive and unique mezuzah case symbolizing the western wall. Made out of 100% pewter. Size: 1.5"W x 4.5"H. Color: Gold. Can fit 3-3.5 inch parchment. This mezuzah cover will glorify the entrance of your home, office or synagogue.